A screenplay is a creative piece of writing upon which a film or television program is based. It carries all the words spoken by the actors, all the details about the scenario, and all the necessary set directions. The dialog, actions, expressions, and movements of the actors are all detailed in a screenplay. 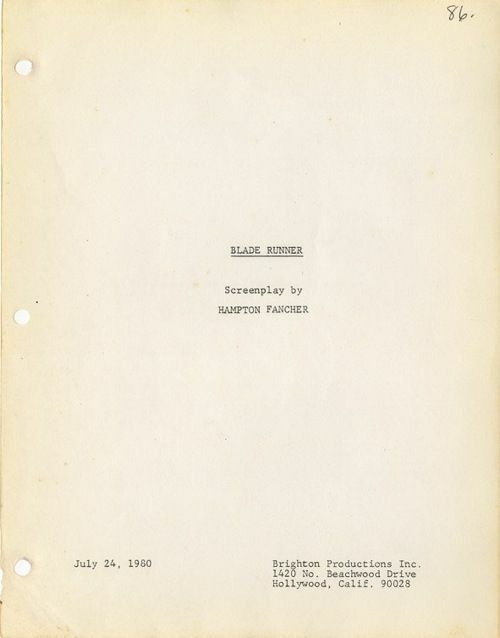 There are specific layouts and formats for screenplays from which one cannot deviate. Whether a screenplay is wholly original or taken from another piece of writing, such as a history book or a novel, it must contain the details necessary for a movie to be directed correctly, so it must bear the author’s intentions in a prescribed manner. Carefully read a number of specially written textbooks on how to write for the screen—either the big screen or television. Make notes and understand the words that are used specifically for the film industry. Think about a subject or topic, and invent a scenario or story to fit around it. For example, you might choose the topic “wedding” and invent a funny story about an event that goes wrong. Make sure that you devise a number of different characters for your screenplay—an odd number, never more than about five, is best for a first attempt. Make sure you understand that meaning and context in a screenplay is conveyed through dialog. Set aside a generous period of time to draft several different versions of the screenplay: this is not a piece of writing that one can do in a hurry. Take notes, watch some similar movies or television programs for ideas, and start to draft the screenplay, beginning with movements and actions, and filling in the dialog using a variety of characteristics for the players. A successful screenplay also includes any effects and sounds that can be seen and heard as part of the action by the persons watching the movie or teleplay. 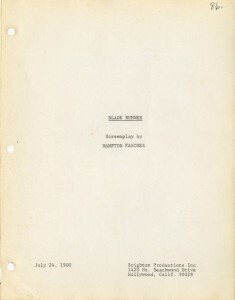 It is possible to use a software template to write a screenplay. It is also possible to write one in a word-processing program using a classic layout. Screenplay writing has its own grammar and specific language requirements. Use the accepted conventions of spacing, font, and size. In the US, Courier in 12pt is generally the norm. Double-space everything. It is useful to remember that one page of screenplay text is generally understood to represent one minute of on-screen action. A screenplay is also called a script; it contains four deceptively simple elements: headings, character names, action, and dialog. A writer must understand how to format these elements in the standard way, which is centered down the middle of an A4 page, on one side of the paper only. Headings, which are always in uppercase, mention the scenes; character names nominate the players and who they depict; action describes the movement; and dialog details all the words spoken. Do remember a screenplay is all about words. Do ensure that you must master the technicalities of the layout. There are accepted ways to set out a screenplay from which you cannot deviate. Do be as creative as possible. Original dialog, memorable characters, and brilliant locations need to be inspired. Do try to think of original scenarios. Scenes and snatches of dialog “borrowed” from popular movies do not bring about success. Do start and finish with engaging, memorable lines without using cliches or hackneyed phrases. It is important to write characteristic speech patterns for each character in the screenplay. Don’t use quotation marks. Screenplays are punctuated in a special style. Make sure you learn it and use it consistently. Don’t use platitudes or unimaginative phrases. Each line must be original, carry the story forward, and relate to the character saying the line. Although your characters can speak in jargon or slang, depending on the way you devise the speech of any single character, every other part of the dialog must be perfectly precise. Don’t use old-fashioned terminology. Use modern textbooks and learn the up-to-date phraseology. HINT: the phrase ‘cut to’ is rarely used in modern screenplays. Repetitive or cliched work—never copy well-known gems from cinema and television slavishly. Although it is sound to emulate the masters, original work bearing a new writer’s trademark is always fresh and best. Lack of reality. Even the most outlandish works of science fiction and fantasy need a touch of realism and relationship to the human condition. Rushing the work, or trying to cram too much into a two-hour piece. Hurried scenes or those that are truncated to make room for more material might work on paper, but will give trouble when acted out. Lack of expertise. Sometimes student screenplay writers include so much material in their screenplay that it over-runs the projected number of minutes. Too many or too few characters, too, is the sign of a beginner. Forgetting the importance of dialog. Everything in a screenplay depends on the words. Long speeches. It is a mistake to put too much description or narration into dialog. They take up time, and bore the audience. Not understanding the anatomy of a classic screenplay. It is essentially following a well-known set layout, filled with your own original dialogue and action.